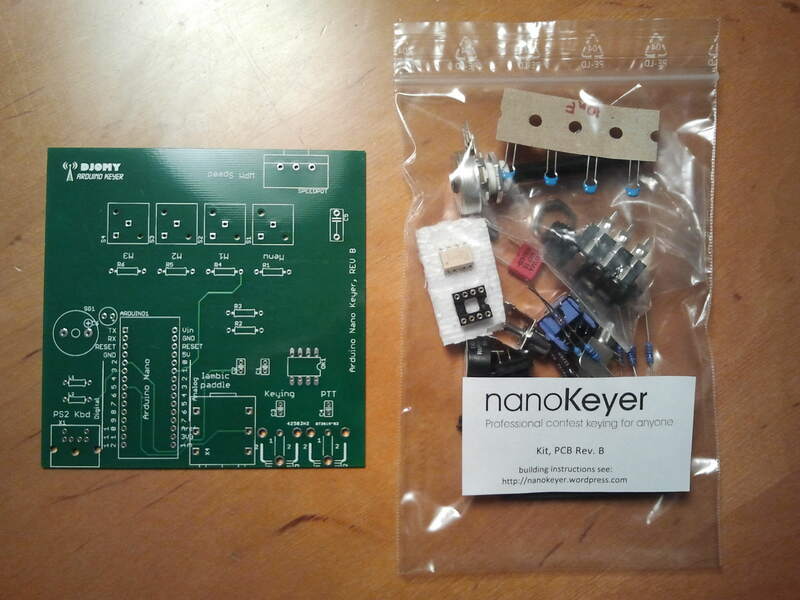 I’m pleased to report that Oscar, DJ0MY, has created an open source hardware initiative and kit offering called nanoKeyer. This project utilizes my Arduino keyer code and the Arduino Nano, a smaller cousin of the Arduino Uno, but fully software compatible. Oscar is offering the kit at a reasonable price, but also provides Gerber files on his site for those wishing to reproduce the hardware design. The hardware kit features three memory buttons, a speed potentiometer, a PS2 Keyboard connector, and optically-isolated keying and PTT lines. The Arduino Nano module that mates with the nanoKeyer supports the K3NG keyer code command line interface and K1EL Winkey emulation via the built-in USB port. The Arduino Nano is programmed via a typical Windows, Mac, or Linux machine with free software. 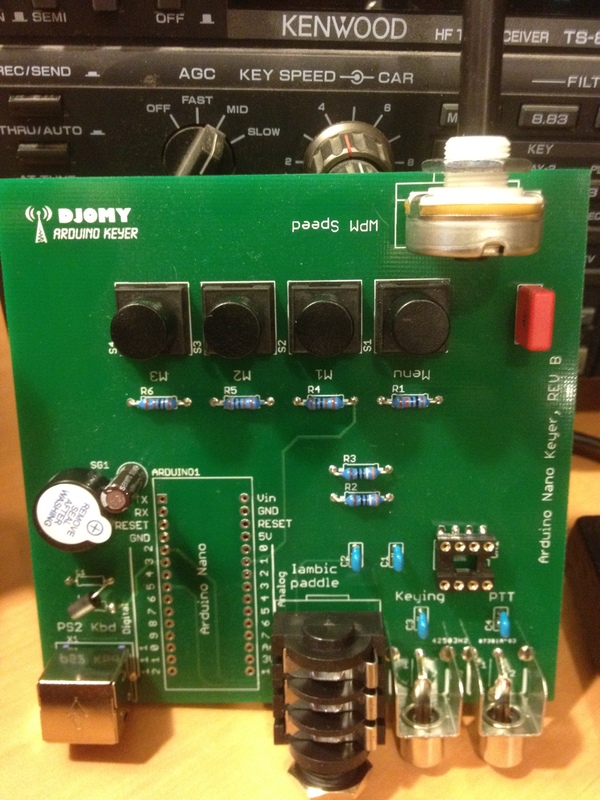 This kit offers commercial / contest quality performance and features in an open source package that can easily be assembled by beginners or customized by advanced experimenters.